»Culture & Arts»Glória Christmas Concert On 18 December Sold Out! Glória Christmas Concert On 18 December Sold Out! 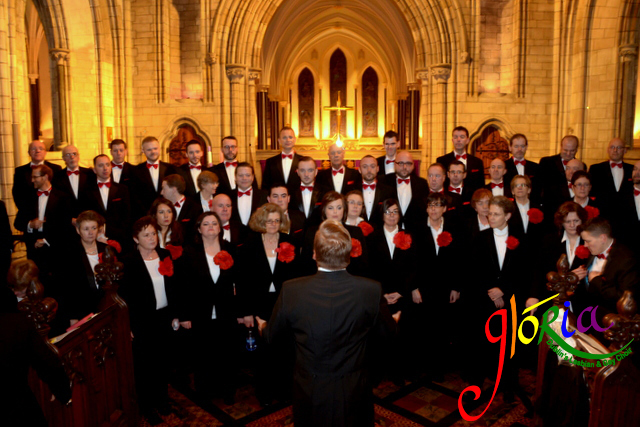 It’s that time of year again, when Glória return to their festive home for the annual Christmas Concert, in the amazing venue that is St Patrick’s Cathedral. Unfortunately for those who don’t have tickets, the concert has sold out. However, for those of you that purchased your tickets early, Glória remind you to print out your ticket, which you will hopefully by now have received from EventBrite, as you will need the printed version to gain entry. Doors open at 7.30pm and the concert will start at 8pm. If you weren’t lucky enough to get a ticket, you can still listen to Glória on CD. During the summer of 2014, to coincide with Various Voices Dublin, Glória launched two new CDs. You can purchase them along with others from their back catalogue from the online shop.